Talitha K. McEachin is a Christian Conservative Libertarian & member of the Georgia Republican party. Her articles have appeared on numerous political blogs/sites including that of CDN radio show host Kira Davis, redwhiteandbluenews.com, Yahoo News Network and Herman Cain’s CainTV.com , as well as the various political groups on social media outlets. She is well known for her candid opinions, humor & apologetics for the Conservative cause & the Christian faith. Talitha, an Atlanta native, studied Biology & Philosophy at Georgia State University.She was an editorial writer for the now defunct Black Literature magazine & the first novel in her fantasy series, The Elements, is due to be released in 2017. She also hosts the internet radio show “Book Reads” every Sunday featuring published writers from all genres.You can learn more about her writing & radio show here:www.theelementsbooks.com. 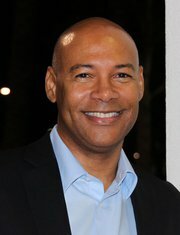 Featured guest blogger Walter Myers III is a Principal Consultant & Software Architect for Microsoft and a philosopher of science, religion, and ethics, with particular interests in Philosophy of Mind, Philosophy of Science and Political Philosophy. On politics, He is a Conservative, and on religion, he writes from a reformed perspective (well, mostly). The Richmond, Va native graduated from the University of Florida with a B.A. in Computer Science & Mathematics. He heads the American Dream Committee for the GOP in Orange County, Ca where he currently lives and is pursuing a Master of Arts in Philosophy of Religion and Ethics at the Talbot School of Theology on the Biola University campus, in La Mirada, CA. He has completed all requirements for a Master of Arts in Science and Religion at Biola. Walter describes himself as a “Conservative with Soul”. In his spare time he co-teaches a Bible study class and enjoys mountain cycling, astronomy, reading & landscape photography. He is well known for his erudite commentary on politics, religion, philosophy and social issues. You can read his articles atwww.scientiamedia.com.